Problem: When is the best time to publish blog posts? Solution: Use analytics to identify the ideal time to publish. Knowing best time to publish content can be the key to increasing engagement,, sales, and shares. There are tons of people who say lunchtime is the ideal time other say after 5pm. However, why are you guessing when the data is at your finger tips. Use analytics to know when to post content on your site. Naturally, you want to aim for periods of high engagement. So, finding out when sessions, users, or engagement is the highest would be the first step in the process. 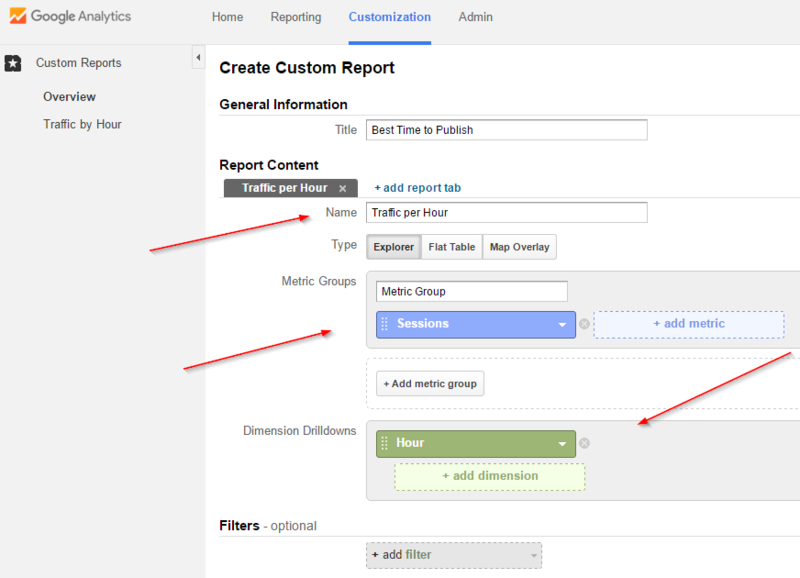 You can use customized analytics reports to display when your traffic is the highest. Follow these steps to find the hour when your website traffic is the highest. First, you must set the metrics and dimensions of report. In sense the rows and columns. In this example, the metric will be sessions. The dimension will be hours. 1. Open your Google Analytics account. This report is now in your custom reports section in analytics for your review to find your most productive period for posting. All these metrics will help indicate when activity is highest on your site. Of course publish content. Of course, if you are going to have an online sale, you also want to increase your chances of engagement. This is just question of using the correct metric to fit your objectives. The objective in this case would be time of most commercial intent/activity on your website. 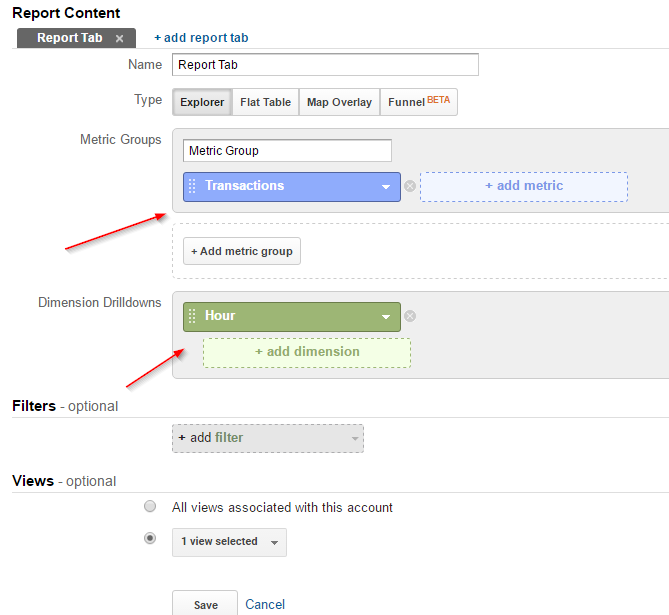 Change your metric in the report to conversions, booking engine views, or etc. The date range will also be able to provide you with key data to form a logical conclusion. This useful data can help you establish when to increase advertising cost. For example, you may use this data for pay per click ad scheduling, live chat or phone numbers. Kissmetrics best time to publish on social media post.